Review – A Life Lived In Amber By Michelle Irwin – 4 Intriguing, Mind Challenging Stars!!! 4 Intriguing, Mind Challenging Stars!!! Hannah was happy and in love, or so she thought. When she meets a stranger, who has her skin tingling with one look, is she truly happy in her relationship, or is the excitement of something new what she truly wants? This story blew me a way in the most extraordinary way. I am a huge fan of Michelle Irwin’s books and I love how she writes. 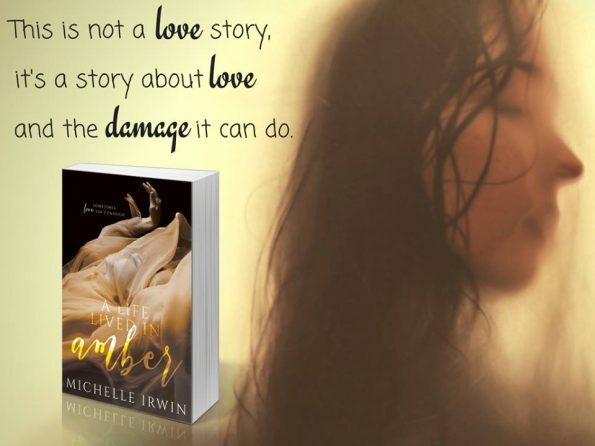 A Life Lived in Amber is no exception, she has written an intriguing story, that pulls you in and holds you hostage. Although at times with the subject matter of this story and my frustration at some of the characters, I did have to put it down and think about the story I was reading. It stirs so many crazy emotions; I found my heart breaking, and I also felt anger; then I felt compassion, feeling that perhaps I had judged some characters too quickly, and not everything was as it seemed. Michelle Irwin has written an excellent story, one that had me rethinking a few things and had me changing my thoughts on some of the characters. Michelle also had me thinking about Hannah, she may have handled some decisions incorrectly, however, there is an aspect to this story where we see Hannah is influenced by the choices of others. This story is a thought-provoking story, it deals with love, desire, jealousy, selfishness and brings to life how these traits can destroy the lives of others.